This model was made from two tiny sheets of metal, from which you pop out the pieces and fix them together by bending and twisting tabs. This one took me maybe 2 hours to complete. I immediately ordered another model, this time a Tie Fighter. I’ll keep you posted on the progress of that one as I plan to take photos as I go. 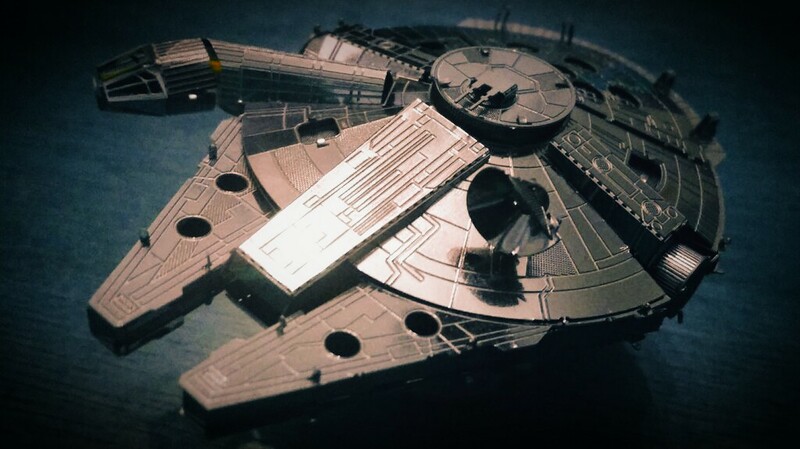 These Metal Earth model kits are awesome!